Dalmatians are one of the breeds prone to degenerative myelopathy. Dalmatian owners know this large dog breed is prone to various health issues. One issue that may affect some Dalmatians as they get older is degenerative myelopathy, a nervous system disorder that compromises a dog’s mobility. If owners notice the warning signs early enough, there are certain steps they can take to help a dog with degenerative myelopathy. Degenerative myelopathy is a nervous system disorder that generally causes a dog to lose the use of his back legs. The myelin sheaths that protect the dog’s spinal cord will gradually deteriorate, interfering with signals between the brain and the back legs. If the brain cannot successfully communicate with the back legs, the dog will experience a weakening of the hindquarters and may eventually lose the ability to walk altogether. The condition is common in German shepherds, Irish setters, Chesapeake Bay retrievers, Welsh corgis and Dalmatians. The symptoms of degenerative myelopathy usually affect dogs over 9 years old. Early signs may include a slight wobbling, dragging paws on the ground, or crossing the back legs when walking instead of keeping them parallel. The back legs will gradually become weaker, and eventually the dog may not be able to support his weight to walk. In very advanced stages, a dog may lose control of his bladder and bowel, and his front legs may become unable as well. 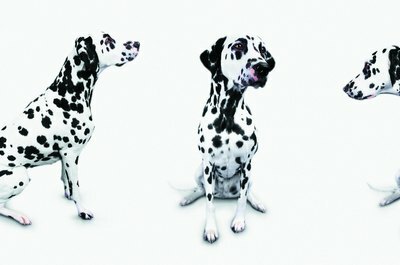 Why Are Dalmatians Affected by This Disorder? The fact that degenerative myelopathy is most prevalent in certain breeds suggests a genetic component exists. Dog breeds from similar lineage may share certain gene mutations, which may explain why several larger dog breeds experience higher rates of degenerative myelopathy than smaller dogs. A recent University of California at Davis study gave researchers a better understanding of both the prevalence and the source of certain genetic disorders. Hopefully this will lead to better prevention and treatment in the future. If a Dalmatian’s quality of life diminishes too much due to degenerative myelopathy, it might be time to talk to your vet about having your dog put to sleep. However, some dogs in the earlier stages of the condition have been shown to benefit from physical therapy and mobility devices such as a dog wheelchair. The amount of exercise a dog gets has not been proven to be a significant factor in degenerative myelopathy. Taking your dog for walks might be good for overall health, but it will not necessarily improve this nervous system condition. Are Cedar Dog Houses Bad for Dogs?